My boyfriend and I have never done a couples costume, so we decided why not do the most fun couple ever, in a creepy kind of way. We bought our costumes, however did all of our own makeup. I put makeup on my legs,arms, everything! We had a blast, and received many compliments. 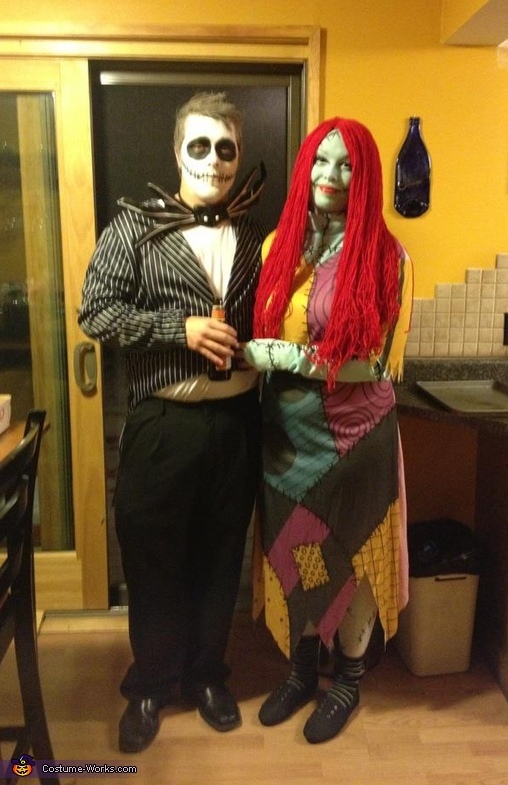 Jack & Sally was by far, my favorite costume ever!